Thank you to all who turned in their Fulcrum Tuition Assistance applications for the 2016-17 school year. It is hard to believe that we will soon be celebrating Christmas and then welcoming in 2016! We will begin the registration process for the next school year at the beginning of February. If you missed the deadline for the Fulcrum Application last Friday, please make sure to contact Berenice (office@hrrsjda.org or 253.272.7012) immediately to see about getting a late application turned in. 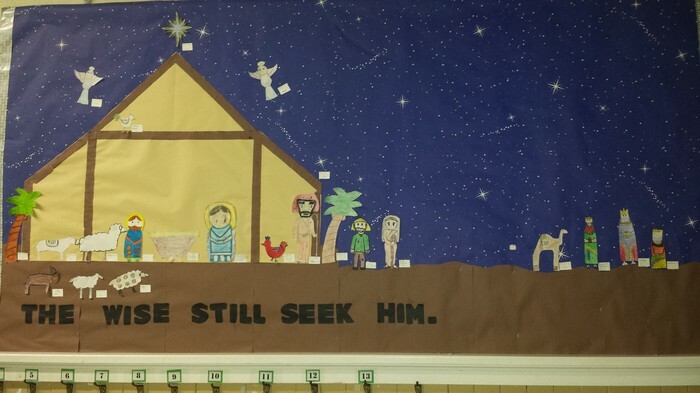 Remember, any family who needs ANY financial assistance from Holy Rosary must have a completed Fulcrum Application on file for the 2016-17 school year...no exceptions! I want to invite everyone to celebrate the Feast Day of Our Lady of Guadalupe with Mass on Thursday (the actual feast day is Saturday). We will honor the Virgin Mother by processing forward to the altar with flowers. Each child should bring a flower to be presented at the Mass. It will be at 9 am. We hope to see you there! Thurs, Dec. 10th - We will be celebrating the Feast of Our Lady of Guadalupe at 9 am. Students need flowers! Please join us!! Fri, Dec. 11th - Spirit Gear Day, Christmas Program Practice 1:30 in the Auditorium. Fri, Dec. 18th - Last Day of School before Christmas Vacation! 3 pm Dismissal. Mass Practice with Fr. Wichert...Thanks, Father! 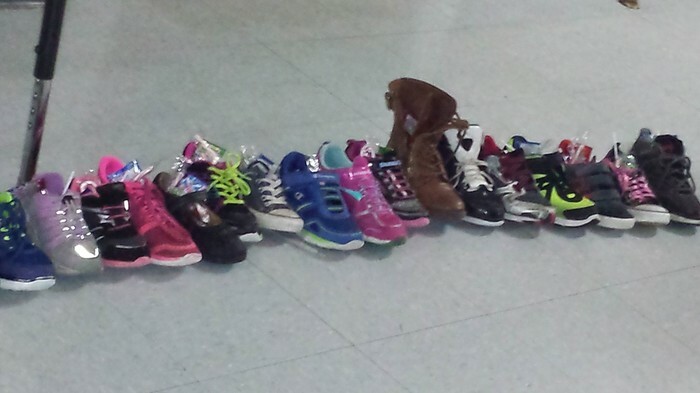 The Shoes were Ready for St. Nicholas to Visit! Fulcrum Tuition Assistance for 2016 - 2017!! DEADLINE PASSED!! The deadline for Fulcrum applications was last Friday, Dec. 4th. If you did not complete yours, please contact Berenice at office@hrrsjda.org. Remember: Families will not be eligible for any financial assistance through Holy Rosary school UNLESS they have first applied through the Fulcrum Foundation. This means that no contracts will be negotiated without applying first through Fulcrum. Thank you to all of you who filled out your Fulcrum applications for the 2016-17 school year. Charges for meals and extended care are due immediately after the school account statements are received in your student's envelope. There should be no outstanding balances from September and October meals and extended care. If families have outstanding balances from these months, students will not be allowed to receive lunch or attend extended care. Please don't let this happen to you. Contact Kelly at finance@hrrsjda.org immediately if you need to discuss payment arrangements. Help Your Neighbors during Advent!! The 1st Grade class is hosting a food drive next week. They will be collecting cans and other non-perishable food items, as well as baby clothes and other brand new items for babies. If you would like to donate, please send in your items to the 1st grade classroom by Thursday, Dec. 17th. Thank you for your help!! Mary Rezny's mom, Mary Jean Klebba and sister, Kathy Bloink, who are both facing significant health problems. "Mr. Paul" McAllister, who recently had a heart procedure. Jim Dempsey (Katie's dad), who recently had heart surgery. Mary Ruth (VP at St. Philomonena's School), whose husband passed away on Nov. 28th after a short bout with cancer. Juan Perez (Piano player for the church and the school over the years and former HR parent), who is battling cancer. Jakeline Lemus and Lizbeth Duran for the Tamale and Atole fund-raiser! All of the parents who decorated the auditorium, stage, and the front entryway for Christmas. Are you fantastic at finding amazing holiday deals? Now is the perfect time to pick up those auction items! Create your own auction basket or individual items (totaling $100) and we can put the basket together for you. If you are looking for inspiration, we have created a Registry (http://www.myregistry.com/public/2016-hrrs-jda) and Pinterest board (https://www.pinterest.com/auctionjda/gift-basket-ideas/) for your convenience. Prefer to solicit donations from local businesses? Procurement/donation forms are available at the office. Auction items are due no later than Friday, February 12th. Come see and bid on the amazing baskets at the 2016 HRRS/JDA Crab Feed & Auction scheduled for March 12th! Tickets will be on sale soon. We are still in the midst of raising funds for our annual fund appeal. This year, our goal is $150,000. The funds raised help offset the costs of the curriculum upgrades and new music/band program that we rolled out this school year. 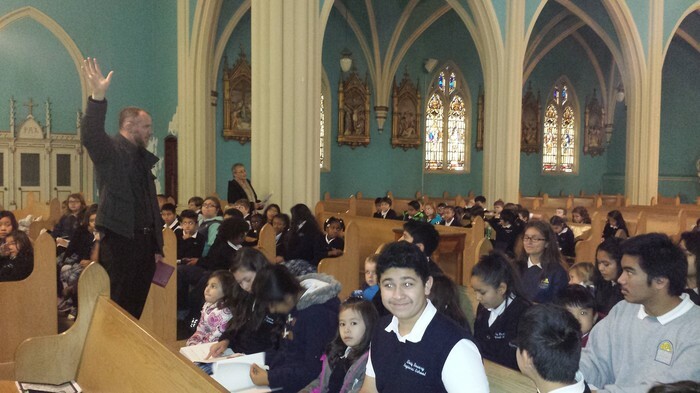 As Catholic school families, you make a great sacrifice of time and money to send your children to Holy Rosary School. We are hoping for 100% support from families. Thank you to the families that have already donated thus far. A one-time donation can be made or please consider a monthly pledge. Giving $25 a month for ten months provides a total donation of $250. No amount is too small to make a difference. Thank you for your consideration in helping our school. With the Christmas break coming up, it's important to think about ways to keep kids engaged (and parents from going crazy) during the upcoming 2 week break. Check out the following article, Keep Skills Sharp During the Winter Break, for some great ideas! Please submit questions for the next Curriculum Corner to Dr. Yaden at BYaden@plu.edu. Christmas Program - All School! Located on Floor 3 (in the Auditorium). Make sure to arrive early for a good seat!